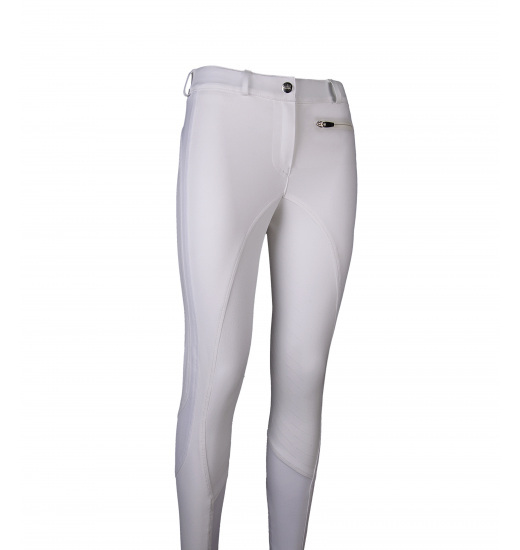 Ladies' breeches Tatum are made of Schoeller material, which is characterised by high water resistance. 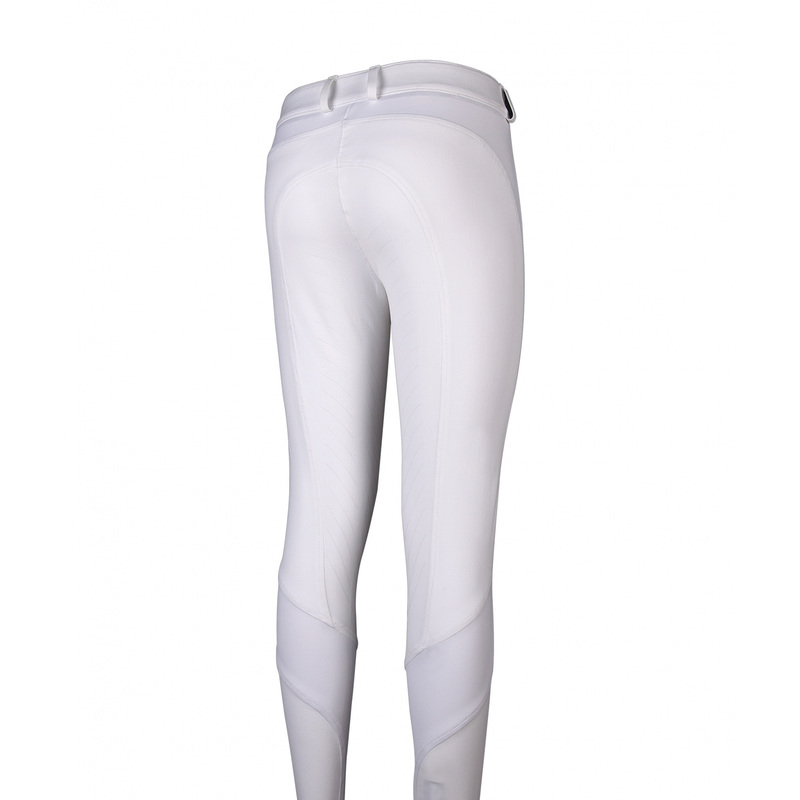 The parts that touch calves and thighs are made of extremely elastic material, which provides even better comfort during using them. A stripe with non-slip system is placed on the whole surface touching the saddle. Below the belt there is one pocket fastened with glued zip, which prevents things in the pocket from getting soaked.